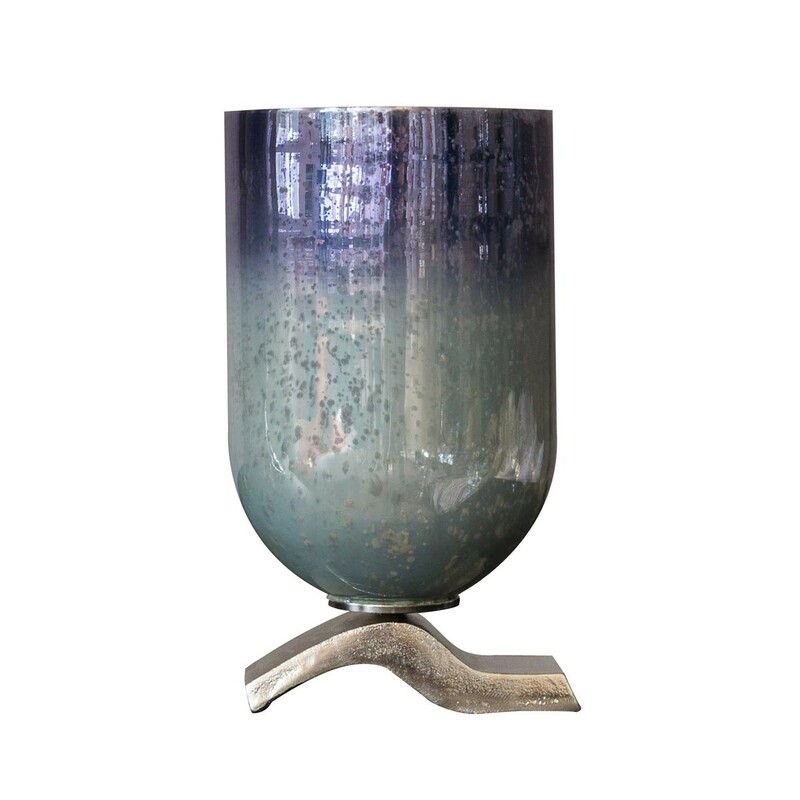 This style-statement Blue Moon aluminium and glass pillar holder adds welcoming warmth to a hallway, living room or bedroom. Beautifully handmade and finished, it can be used as a holder for pillar or votive candles, and looks equally effective unlit. 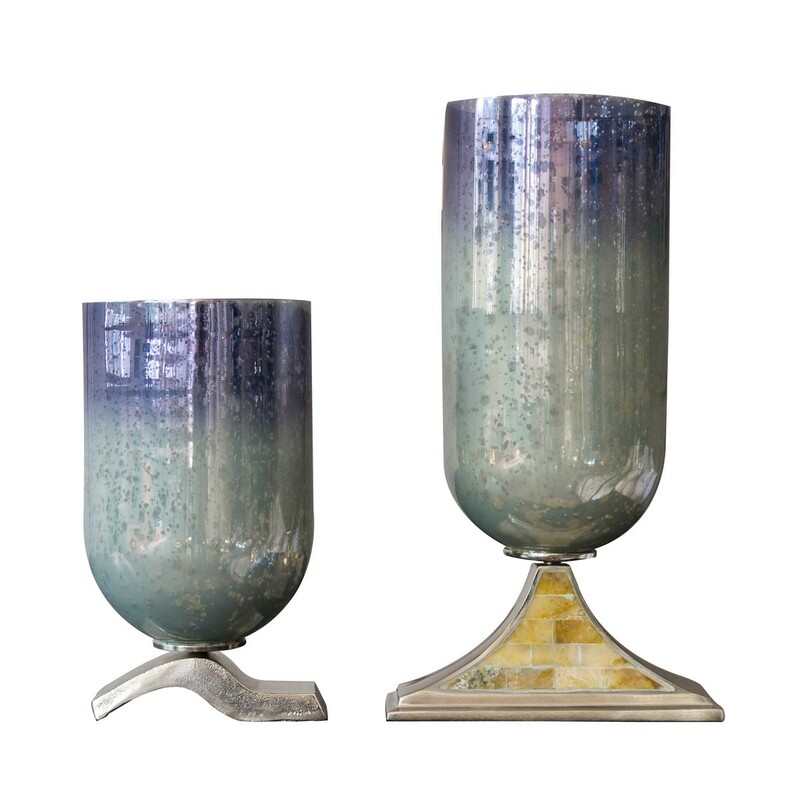 Chosen by our design team, this pillar holder brings a dash of Art Deco elegance with its pairing of opalescent glass and metal. Use it as a table centrepiece, or buy a pair to dress a mantelpiece or windowsill. Smart and luxurious, this lavish design would also make a fantastic gift. This beautifully handmade home accessory is perfect for adding a bold style statement to even the most neutral room. 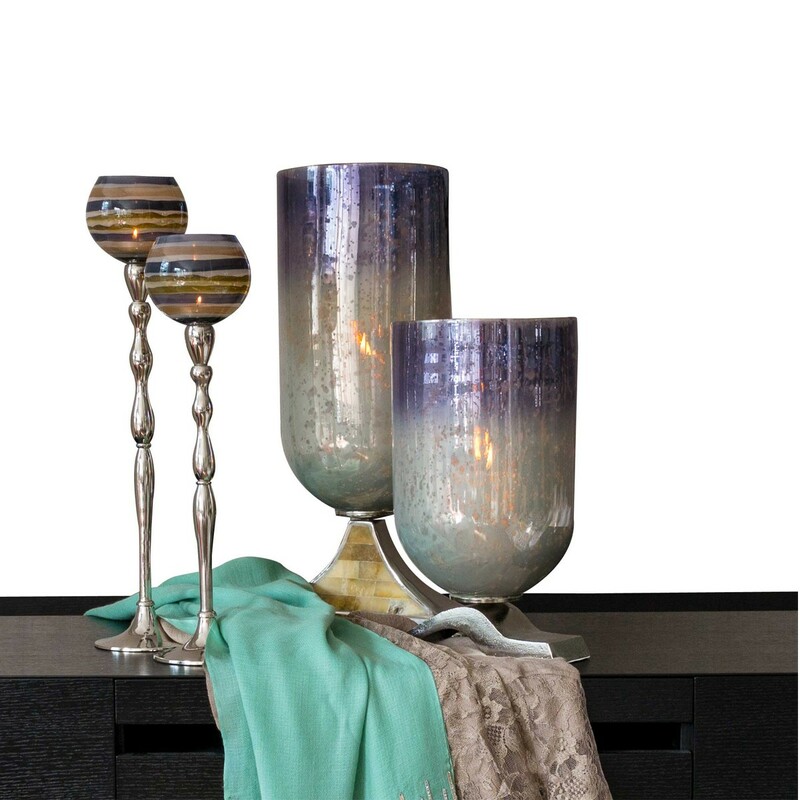 Use our aluminium glass pillar holder as a mood-settingcentrepiece for a dinner table. It also looks wonderful filled with sweets or dressed with flowers. Adding glamour and a pop of rich violet, this design makes a superb focal point. Or try grouping it with other smaller candleholders in glass and metal.